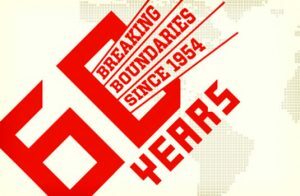 Share the post "Les Roches is celebrating 60 years – 60 years of education, entrepreneurship and innovation." Les Roches is celebrating 60 years – 60 years of education, entrepreneurship and innovation. Les Roches is celebrating 60 years – 60 years of education, entrepreneurship and innovation. In November we will be hosting ‘Breaking Boundaries in Education,’ an anniversary conference near Crans-Montana with speakers who are at the very top of their game. For Les Roches, innovation and entrepreneurship have always been important. Its very beginnings, back in 1954, were built on the entrepreneurial dream of four brothers. Its transition from international boarding school to international hotel school came also a result of an ability to read the times and respond to emerging trends. Nothing stays the same. And the hospitality sector is changing as much as any other sector. What does hospitality look like in the 21st century and where is it going, for a start? Where is the intersection between traditional hospitality brands such as Ritz Carlton and Mandarin Oriental and non-traditional brands, such as Apple and Bloomberg? Our conference is an opportunity to listen to, and network with industry leading lights such as Omer Kaddouri, CEO of Rotana Hotels & Resorts, Michel Gehrig, VP Talent Development at Kempinski and Ken Chu, CEO and Chairman of Mission Hills Group, responsible for developing some of the most successful golf courses, spas and residential developments in China. Joining them will be pioneers such as Zhang Mei, founder of Wild China and Susan Harmsworth, CEO of ESPA who have capitalized on trends in sustainable eco-tourism and the burgeoning spa sector. Well, there are a lot of answers to this question, but why not join us in November 20th and hear for yourself what those who are experts at creating services and products that are ahead of the consumer curve will say? The conference will be live streamed and you will be able to interact with the speakers through Twitter.